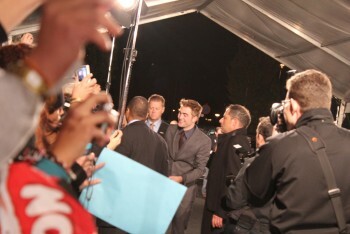 For all the waiting you've done at premieres and special events, it's always nice to know you'll be rewarded with a big smile from Rob. Well, I travelled to Madrid from Sevilla (500 km) the night before the premiere and I went to the movie theatre the morning of the 15th, a little early, because there were only half of the wristbands left. I got mine and I was first line! I waited the whole day. I had a spotlight right in front of me, but it was first line. 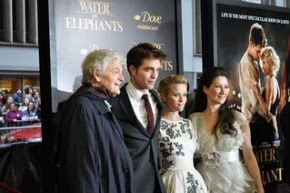 I had been waiting for four years to see Rob, because I couldn't see them (cast) the other times they were in Spain, so I was so excited, and when they showed up later, I started crying. I knew it was gonna happen... they were a lot of years following their careers. 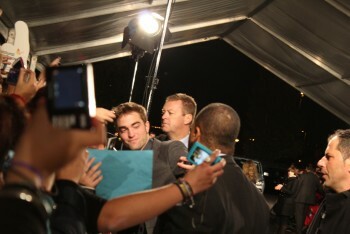 When Rob signed for me, I couldn't even take proper pictures and make my camera focus, lol. 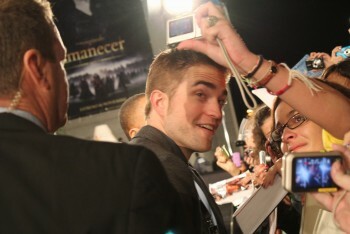 Too much for me. But they all signed my picture, and can't be happier right now... it's the end of an era, but it's just the start of something new and I'm sure better too. 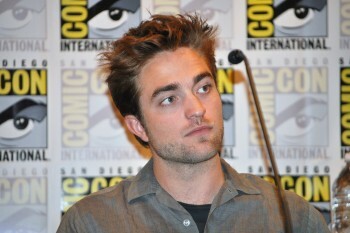 Long live Rob's career! 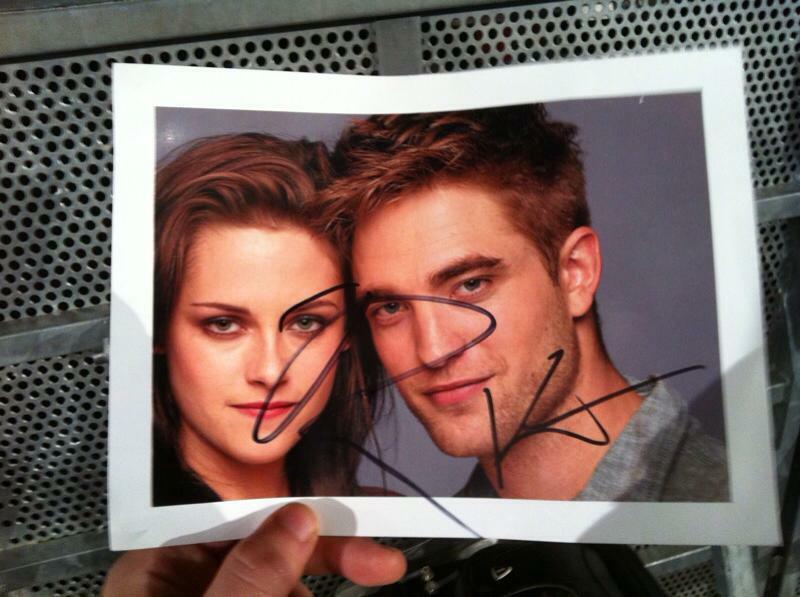 And here's my signed pic :) Rob signed in the middle and Kris signed on Rob's side lol.. 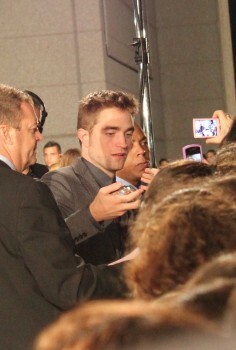 Thanks so much for sharing Ana! (love the autographed photo).